Allergens: Milk and soy. May contain or it is made in a facility that processes peanuts, eggs, wheat, fish, gelatin, shellfish and tree nuts. It is gluten free. Probiotic Dark Chocolate Bites is a daily usage probiotic that may be the source of health of the entire family. The surprise comes when we find out that a mother of two young children who wanted to keep her family healthy created this product. Because she was travelling for work all the time, she found the perfect solution for making sure that her husband and children are healthy, with a tasty and nutritious product – Probiotic Dark Chocolate Bites. Now mothers all over the world can try her product and can benefit from its pleasant taste, but also from its therapeutic qualities. We can remark about this product is that it combines probiotics with chocolate, but without any compromise on the quality of the ingredients. This is very important, especially as it is a product designed for the entire family, which means adults and children alike can consume it. Because it has a special formula and a good taste, it is easy for your children to enjoy the benefits of probiotics. We all know how difficult it is to convince the children to take pills, but with Probiotic Dark Chocolate Bites, you have nothing to worry about. Children will love the pleasant taste of chocolate, while probiotics in its composition will work to improve their digestion and overall health. It is difficult not to love the tasty combination of milk chocolate, which hides the powerful antioxidant qualities of dark chocolate and friendly bacteria. The probiotics from chocolate will survive until they reach the digestive tract, because chocolate is a more effective carrier of probiotics. Your children will experience an improvement in the functioning of digestion, and an increase of their immunity, but without having to take pills. It will be as if each day they take one bite of the most healthy, nutritious and tasty dessert. Who knows, maybe it will become the favorite dessert of the whole family. Probiotic Dark Chocolate Bites is designed to meet the needs of mothers, father, and children. Women sometimes present an increased risk of developing yeast infections, which are infections caused by the overgrowth of Candida albicans. This happens due to an imbalance between good and bad bacteria. Unfortunately, it is easy to destroy good bacteria, because the use of alcohol, sugar, or even birth controls destroys friendly bacteria, which aren’t replaced. 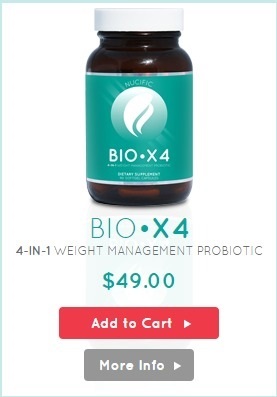 This product helps women protect their beneficial bacteria and support their growth. Fathers also need Probiotic Dark Chocolate Bites, especially when they travel and work too much and have to deal with too much stress. 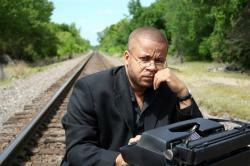 Men in this situation experience a decrease in their immunity system, as well as digestive problems. In order to improve their health, they need probiotics, which help them absorb the nutrients better and reduce unpleasant symptoms associated with unhealthy diet, common in people who travel a lot. Because Probiotic Dark Chocolate Bites are covered in dark chocolate, you can take them with you wherever you go. Probiotics will survive the heat and different conditions so that you can fully benefit of their therapeutic effects. Since it was created to serve the entire family, your children can also benefit from using it, especially because they are exposed to germs every day. When they play, they touch different objects, which can be full of germs, leading to an imbalance between good and harmful bacteria in their body. To avoid such situations children can use probiotics, which will help them to maintain a healthy gut, but also to support their immune system. It is easier for your children to be healthy and protect their micro flora, just by taking 1-4 bites of Probiotic Dark Chocolate Bites daily. As an overall opinion, this product is a good dietary supplement and a healthy source of probiotics and antioxidants. We can see the care with which this product was created when we look at its composition, because contains only natural and active ingredients, in order to give us multiple benefits, both adults and children. We can easily see that this product was designed by a mother who wants the best for her children. Fortunately, we can offer this product to our families, to support their health in an easy and efficient manner. Since a modern lifestyle has a negative impact on our life, using antioxidant and probiotics seems like a good thing. If you think it is impossible to have a good taste and powerful therapeutic properties in a single product, you are definitely wrong. Probiotic Dark Chocolate Bites is the proof that we can combine good taste with remarkable therapeutic effects, in order to protect our body without making too much effort. Probiotic Dark Chocolate Bites is a product made of natural ingredients, free of any side effects. The special formula of this product, developed by a mom, is meant to help women, children, and fathers all over the world. It is a tasty product, with a pleasant chocolate flavor, you and your children will simply love taking it, but also it has important health benefits to offer. Bacillus coagulans is an ideal probiotic strain for patients with a poor immune system. Studies show this probiotic ability to protect the body from viruses and pathogens. It can reach safely to the intestinal tract, because it has the ability to survive the stomach’s acidic conditions and it doesn’t need refrigeration. 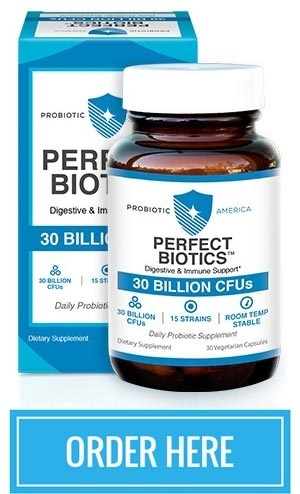 Because it has a protected shield around its surface, this probiotic is protected and resist the pressure of manufacturing, as well as the heat and acids in the stomach. Unfortunately, probiotic strains like Lactobacillus and Bifidobacterium don’t have protective shell like this. We can benefit greatly from this bacterium, because it can improve the vaginal flora, reduces bloating and abdominal discomfort in patients with Irritable Bowel Syndrome, and boosts the immune system. It is recommended for people with diarrhea and can help children with rotavirus diarrhea. So, if you have digestion problem or you suffer from inflammatory bowel diseases such as Crohn’s disease and ulcerative colitis, Bacillus coagulans can help you a lot. It can be used to reduce excessive growth of the bad bacteria, but also for preventing respiratory infections and cancer. People also use it as an additive to increase the effects of vaccines. From 1930, when it was first discovered, until today, Bacillus coagulans proved to be helpful for protecting the body from different health problems and for improving digestion. Today it is an important ingredient in the composition of Probiotic Dark Chocolate Bites. Even though this supplement combines chocolate with probiotics, this combination is not random. Chocolate has proved an effective protector of probiotics in their route to the intestinal tract. In addition, chocolate is available in a healthy form, meant to bring benefits to the body. So, Probiotic Dark Chocolate Bites contains Milk Chocolate, made of sucrose, cocoa butter, unsweetened chocolate, whole milk powder, soy lecithin, and vanilla. These ingredients are chosen carefully, in order to create a delicious and healthy product, which offers plenty of benefits. As you can see, it combines cocoa butter with whole milk powder, unsweetened chocolate, and vanilla to give this product an interesting taste. Children and adults alike will simply love it. Milk Chocolate is not the only form of chocolate from this product, because it also contains dark chocolate, which is a source of antioxidants. Dark chocolate is made of unsweetened chocolate, sucrose, cocoa butter, butter oil, soy lecithin, and vanilla. Other ingredients are powdered sugar with sugar and corn starch, with corn syrup and tapioca starch. One tasty bite of Probiotic Dark Chocolate Bites contains at least 35 per cent cocoa, which means it has the richest content of polyphenols from all chocolate. Pure cocoa is healthy and a rich source of antioxidants, but this product contain 70% pure cocoa, which is more than enough to provide flavonoids that will protect our body and improve our overall health. In addition, it is rich in fiber, iron, magnesium, copper, potassium, zinc, selenium, phosphorus, and manganese – nutrients that are important for a proper functioning of our body. Specialists recommend the use of dark chocolate because it is a very rich source of antioxidants. It contains organic compounds like catechins, flavanols, and polyphenols that protect us from the harmful free radicals. Due to its composition, it can improve blood flow and reduce blood pressure, helping us to maintain a proper functioning of our cardiovascular system. Another advantage of using dark chocolate consists in the ability to reduce the level of bad cholesterol, which leads to preventing different cardiac diseases. As studies show, it can also reduce insulin resistance and protects the skin from the harmful sunrays. Last, but not least, it can improve brain function, important for children and adults, as well. So, Probiotic Dark Chocolate Bites is the perfect source of probiotic and antioxidants for the entire family, no matter you are an older person or you want to give it to children. One bite contains 10 calories (with 5 calories from fat) and a total of 0.5 grams of fat. It has no sodium, but contains 1 billion CFU of Bacillus coagulans and 1 gram of carbohydrate. Not only that is a product poor in calories, but also it could help you lose weight, because it boosts digestion and help you replenish your micro flora, which has a positive impact on any weight loss diet. The special formula make easier for everyone to take probiotic, especially for those who hate to take pills. It is easy to take and is free of artificial sweeteners, preservatives, and flavors. You can be sure that your children can use a healthy product that will offer them only benefits. One bite Probiotic Dark Chocolate Bites is one bite of healthy and beneficial ingredients that will protect the body of your entire family! Does Probiotic Dark Chocolate Bites contain allergens? Probiotic Dark Chocolate Bites contain milk and soy. If you are allergic to these two ingredients, it is recommended to avoid taking it. Also, it may contain or it is made in a facility that processes allergenic ingredients, such as peanuts, eggs, wheat, fish, gelatin, shellfish, and tree nuts. Because it is gluten free, it can be safely used by people allergic to gluten. Probiotic Dark Chocolate Bites has no side effects. It is perfect for the entire family, even for children over 4 years old. Because one bite contain 1 gram of sugar, which is 1/4 of a teaspoon), you can take it without worrying about the sugar intake. Still, it is recommended consulting a physician if you have diabetes. You can take with other vitamins and supplements, and even with other medications, because is a safe and effective product that has no drug interactions. Even though Probiotic Dark Chocolate Bites is free of side effects, you may experience gas for as few days, because your body is adapting the use of probiotics. This symptom is normal so you have nothing to worry about. 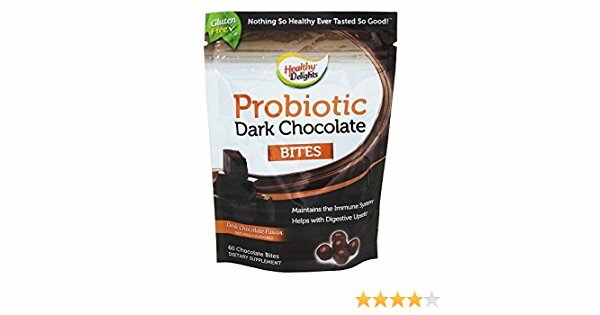 Probiotic Dark Chocolate Bites costs $29.99. For this money you will get 60 bites, enough for a family with 4 children that will be enough for half a month for a family with 2 children, if you take one bite per day. It may seem that it is a product a little expensive, but it contains Bacillus coagulans, which is a species of probiotics with protective shell, so you can be sure that it will survive until it gets to the digestive tract. In addition, it is distinguished by a high content of dark chocolate with a rich content of pure cacao, and with no artificial ingredients. Be the first to comment on "Probiotic Dark Chocolate Bites"